We are three weeks into 2015. I hope you have had a great start to this year. 2014 ended in difficulty for me, and 2015 shows no relief. I think to myself I’ve got 11 more months to make this a great year. One of the things I find comforting is to take a walk in the woods. When I hear bird calls, water flowing, and the wind tickling the tops of the pines, every care melts away. Yesterday, February 20, 2015 dawned as fabulous spring day in the middle of winter. The temperature was in the mid 60’s with light streaky clouds. I decided to wipe the cares off my shoulders and take a hike. 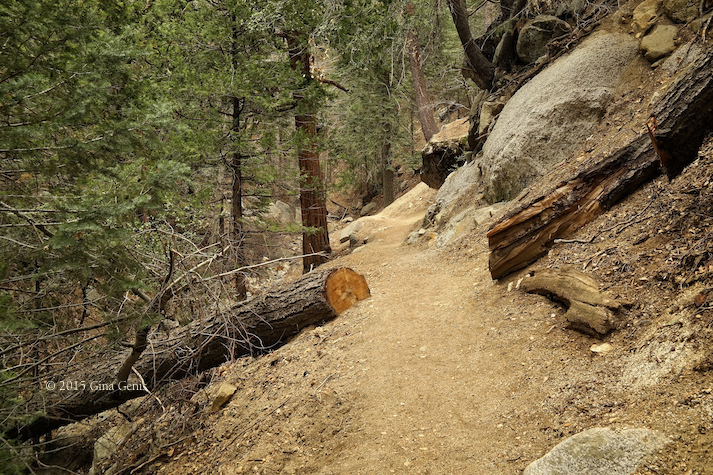 The minute I stepped onto the Ernie Maxwell Trail in Idyllwild, CA, my senses became more refined and I started listening to my animal friends. The first thing I heard was the screech of a hawk high overhead. Then the chime of finches talking to each other took over. 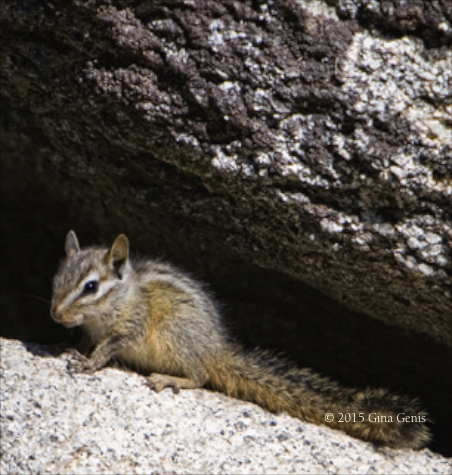 A chipmunk scurried across the path to get out of my way. I stopped to listen to the rhythm of the wind dance in the tree tops. Looking closely, I revel in the colors of the forest. 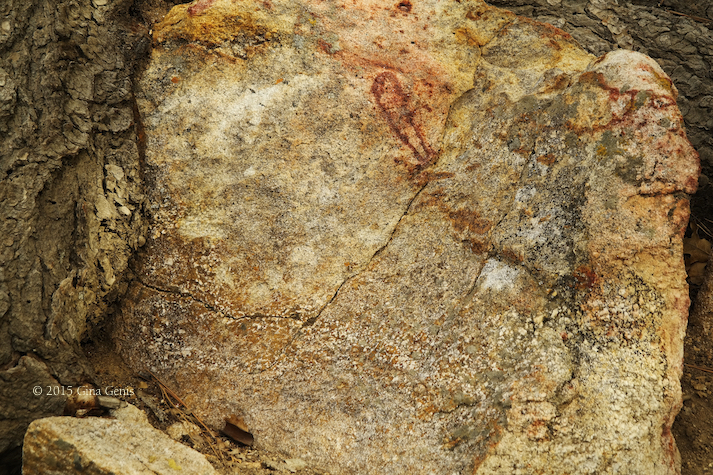 The rocks hold beautiful shades of pink, orange, yellow, tans and browns. I feel as if I become part of nature while I am on these hikes rather than a human separate from it. I appreciate the land, water, and sky and say a silent thank you to mother nature for providing all of the elements people need to survive. Posted in Digital Photography, fine art photography and tagged Ernie Maxwell Trail, forest, healing, hiking, nature, waterfall, woods. Bookmark the permalink. Did you know that the National Gallery of Art has a massive archive of Robert Frank’s photos and movies? Did you know you can access them? That’s right, you can view his work from 1937 to 2005. The archive even includes contact sheets, work prints, negatives, technical material, and even recordings. It’s the largest collection of Frank’s work anywhere in the world. Click here to get further info on how to gain access to this archive. Posted in Art Galleries, Awards, documentary photography, fashion photography, fine art photography and tagged National Gallery of Art, Photography, Robert Frank. Bookmark the permalink. The cover of my 2nd volume of Everybody And Their Mother – Idyllwild, CA. Tucked neatly in the San Jacinto Mountains of Southern California is a small village called Idyllwild. The place is quirky and so are the residents. The mayor is a golden retriever. The village mascot is the Idyll-Beast. 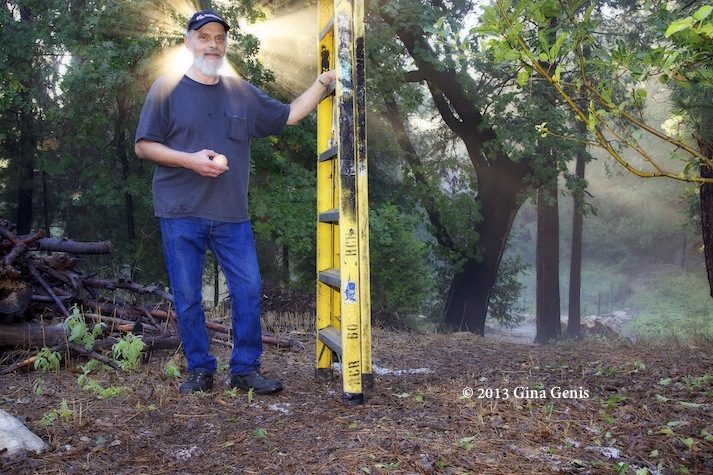 I have been consumed with producing 2 volumes of photography books of the unique citizens of Idyllwild depicted in their most comfortable surroundings: work, home, or the forest. Free spirits, shop owners, professors, and those down on their luck grace the pages. 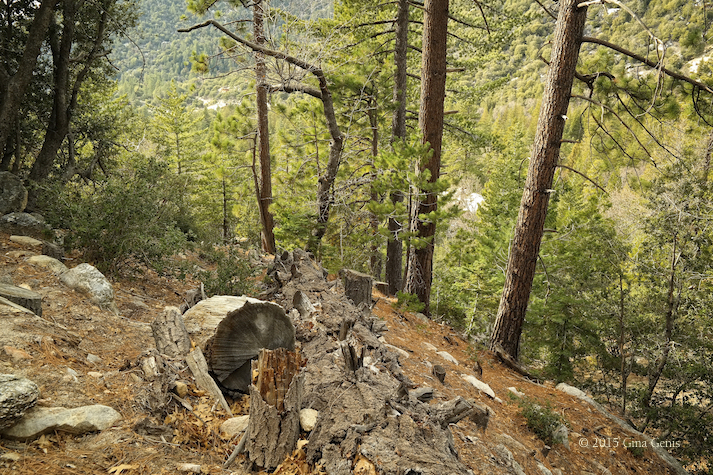 The series is called Everybody And Their Mother – Idyllwild, CA. While the village clearly has a sense of humor, it takes the arts and community very seriously. For the past twenty years, award-winning musicians gather from all over the country for Jazz in the Pines, raising money for students of Idyllwild Arts Academy, the famous high school for international teenagers talented in music, visual arts, fashion design, film, and more. The proceeds of this book are donated to the Gina Genis Scholarship Fund for an Idyllwild Arts student. I am happy to report the books have been successful with brisk sales, and the scholarship fund has a healthy amount in it to aid a worthy student. 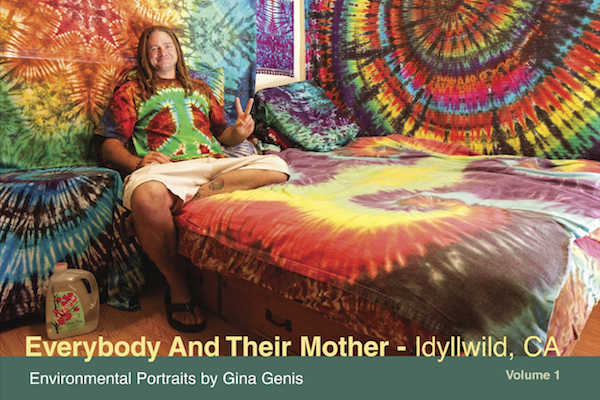 Volume 1 of Everybody And Their Mother – Idyllwild, CA (released July 5, 2013) began my journey to document the population of the entire village. Volume 2 (released September 5, 2014) continues the Idyllwild experience. This has been a monumental undertaking of time and finances. Many of my readers are themselves photographers, so I thought you might like to know what publishing a photo book entails. First, you must have a good idea. Something many people are interested in, to ensure many sales. If your subject matter is too narrow or too eccentric, you are limiting the amount of people who will be willing to buy your book. Save those images to exhibit in more appropriate venues such as museums or galleries. In addition, if your subject matter is something that people can take with their cell phones, such as landscapes or flowers, you need to make sure your images are far superior to what the general public can make, or there is no reason for them to drop hard-earned dollars on your book. Ask yourself this important question: why would anyone pay money for my book? You need a solid answer, and that answer has to be more than “because I want to make a book”. Offer your audience something they cannot do themselves, and are highly interested in. Second, you need financing. You need money for producing the books, advertising, and shipping. I chose to use a professional printing company rather than a print-on-demand company because I find the quality of print-on-demand far inferior to a pro printer. Let’s break down the differences between the two types of companies. Print-on-demand is convenient. You can order books as your customers place orders with you, saving you up front expenses, and preventing you from spending a lot of money if your books don’t sell. You can even have the print-on-demand company drop ship the book to your customer. This sounds great, but you are giving up two important things: profits and quality. I printed Economy Portraits through a print-on-demand company. It was fine for this particular book, because it was a document of a project I did as Artist-In-Residence at the Huntington Beach Art Center. It was never intended to be a photography book. The paper from print-on-demand companies is not as good as from a pro printing company. You do not have a personal contact to speak with because everything is done online. What frustrated me most is that color accuracy is not a priority with these companies. They want you to proof the book on your computer, but I do not recommend this because every computer’s monitor is calibrated differently, and you need to see the book in print to know what it truly looks like. In my case, there were shifts towards yellow or blue, and I had to pay full price for several copies to ask for changes before they got it right. The price of print-on-demand books is expensive. Let’s face it. Most of their customers are not professional photographers. They are people who want to make a book of their child’s birthday party and share it with their relatives and friends. The books are priced for retail, not wholesale, so you cannot mark them up to a price that the average person will be willing to spend on a photography book. Using a professional printing company is the way to go if you want to produce a high quality fine art photography book for several reasons. Simply said, you have more control of your product. You have a real person to call and talk to when necessary. There are more choices of papers, sizes, and covers. Free proofs assure color accuracy. You have to pay for a specified number of books before you sell them, but the price of the books are far less than print-on-demand. All books are sent to you at once, so you have to ship to customers when they sell, but that costs you less than when the print-on-demand company does it for you. All in all, the results from a professional printing company are far superior to print-on-demand companies. Because the proceeds of my books go to the scholarship fund, price is extremely important. The book has to be affordable to the public, and my profits need to be such that I can recover my production, advertising, and shipping costs and have money left over to fund the scholarship. My next post will contain information on how to choose a printing company, overseas vs. America printing, timelines, and more. 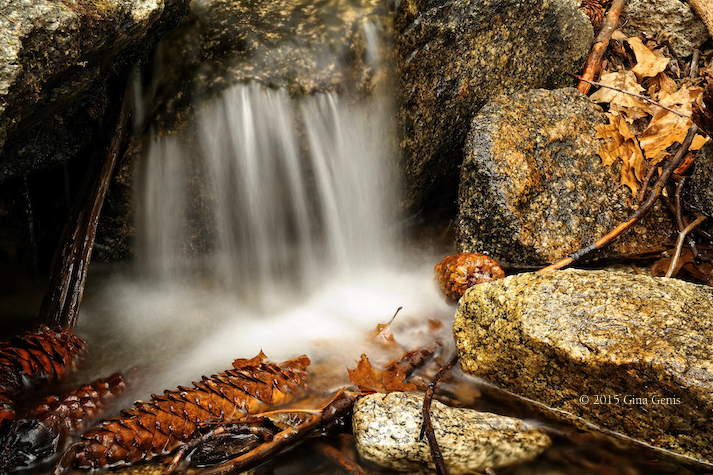 Posted in Books, Digital Photography, fine art photography, Photography, Photography books, Workshops & Lessons and tagged CA, Idyllwild, photography book, print-on-demand. Bookmark the permalink. All religions are about social control. The church, when it had social control, commissioned paintings, which were made using lenses and when it stopped commissioning images, its power declined, slowly. 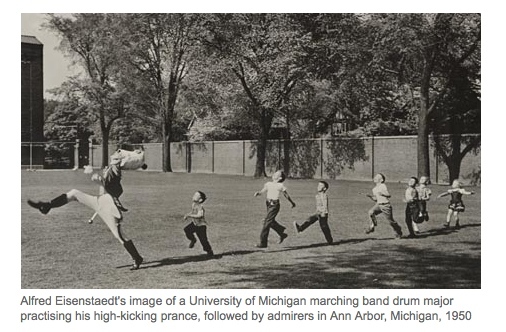 Social control today is in the media—and based on photography. The continuum is the mirrors and lenses. 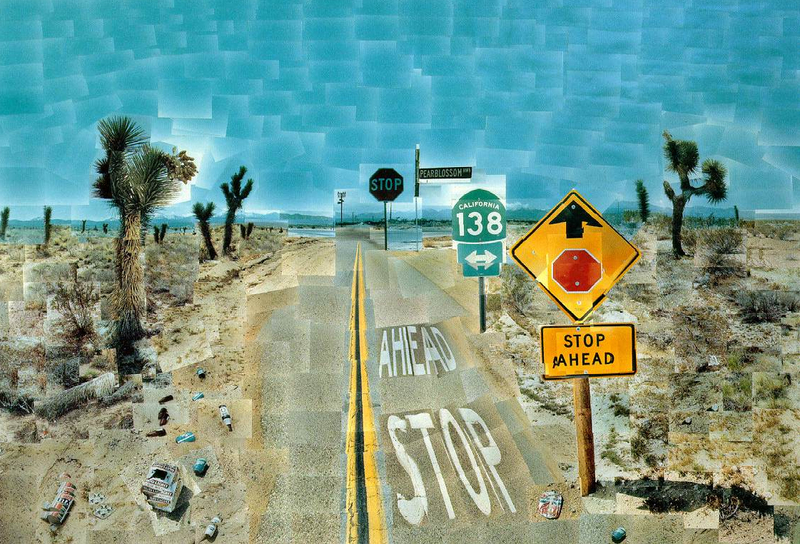 David Hockney, Artist, b. 1937, Bradford, England, currently living in Los Angeles. The Family of Man, a historic photographic show that was first exhibited at the Museum of Modern Art in 1955, has returned to life at a castle in Luxembourg. 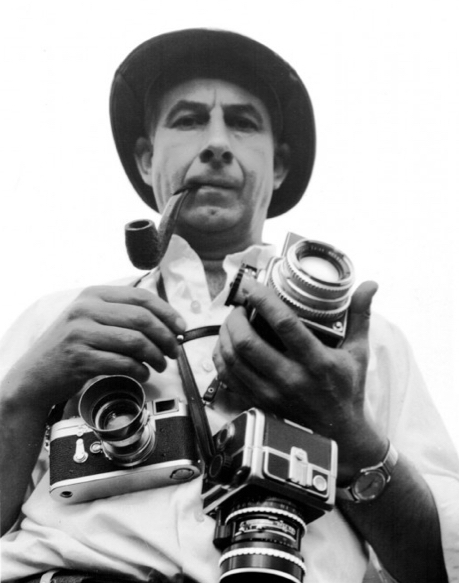 Edward Steichen curated The Family Of Man with 503 photographs from all over the world. After the Museum of Modern Art show, the exhibit went on to travel around the world. It has been seen by more than 10 million people and is considered the most successful photographic show of all time. To read more about new The Family Of Man show and see some images, click here. Posted in documentary photography, Exhibits, fine art photography, Museums, Photography, Street Photography and tagged Edward Steichen, Family of Man, Museum of Modern Art, Photography. Bookmark the permalink. Photographer Bert Stern, famous the world over for his images of celebrities and commercial work, died on June 25, 2013, at the age of 83. 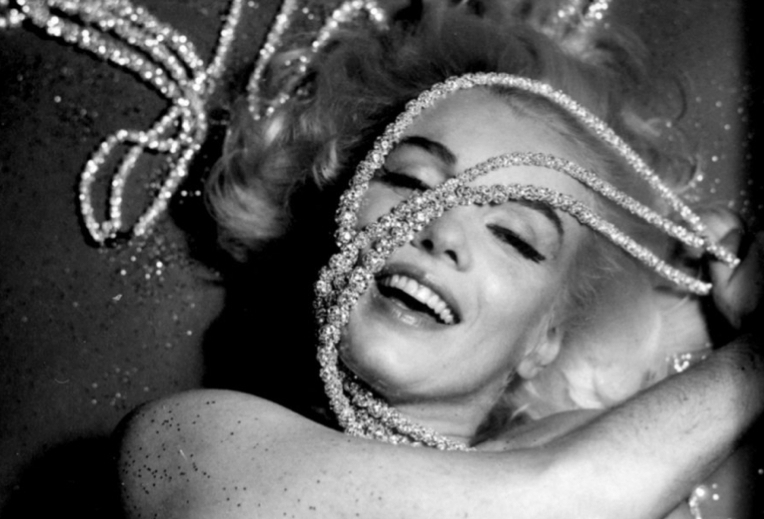 He captured Marilyn Monroe only six weeks before she died in what is now called The Last Sitting. Stern photographed Audrey Hepburn, Elizabeth Taylor, Brigitte Bardot, and Marlon Brando, among others. Posted in Commercial Photography, fashion photography, fine art photography, Obituaries, Photography, Photography books, portrait photography and tagged audrey hepburn, Bert Stern, Bert Stern dead, brigitte bardot, elizabeth taylor, marlon brando. Bookmark the permalink.